Tweet If you bought a lot of albums in the rock genre over the last several years than odds are you bought an album that Will Hunt played on. Black Label Society fans, he played on “Order of the Black.” Lately he’s been known for his work with Amy Lee in Evanescence but throw a rock at a handful of hard rock albums and you’re bound to hit one Will Hunt played on. He’s now a full on member of the band Device, David Draiman’s side project from Disturbed and it’s a great new band. They’re gearing up for Megadeth’s Gigantour and I got a chance to chat with Will. Bob Zerull (BZ): How did you get involved with Device? Will Hunt (WH): I’ve known David (Draiman) for years, I knew Geno Lenardo awhile, actually it was a year ago January I was doing some session work with Geno out in LA completely unrelated to Device. He mentioned to me that he was doing a soundtrack sound with David for the new “Underworld” movie that was coming out. He played it for me and I thought the song was really amazing; the song was called “Hunted” that’s on the new record. That’s really all it was going to be was that song, but I was like hey if this is going to become more tangible and a real band and you’re going to do a full length I’d love to be on board. About six months later he hit me and said hey we’re doing this, we’ve got about six more songs. The timing for me worked out because I was still in the middle of the Evanescence run, the timing was perfect because Evanescence was going to be done and I could dedicate my attention to Device. Basically that’s how I wound up here. BZ: Did you get to play on the album then? WH: No the album was all programmed. The whole record was done with Geno and David. There was talk about maybe having me come in and play on it. Geno and I had spoken about it, but the timing didn’t work out and they were so far along with it that there was just no way that I’d be able to take time away from Evanescence to go track it. The next record I’ll be on, this one is programming and the programming is good, I mean I’d have loved to have played on it, but it was just really far before I would have been able to do anything. BZ: Is Device a David Draiman solo project, or is it a band? WH: It’s a band. We’ve all got a stake in it. It’s kind of a band in the truest sense of the word. You could look at it like a David Draiman solo project, but for me when he asked me about doing it, I was pretty clear that I was done being a side man for people and that I wanted to be a little bit more involved with things and realize my full potential. He said everybody will have a vested interest and I said sounds good lets do it. BZ: You mention being a sideman, I feel like every rock album that’s come out recently has either had you on it or you playing on the supporting tour. 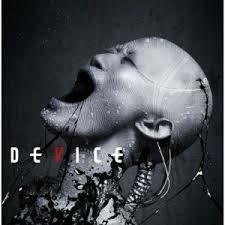 Device has a more electronic and industrial feel to it that affects the drummer the most. How is performing that style of music different for you and do you prefer it? WH: What’s really cool about this is that I’m able to…even with Evanescence there was a little bit of me playing the electronic pads and stuff like that, very minimal though. When I was playing with Tommy Lee and Methods of Mayhem there was a lot of that stuff going on. With this I approached it more like the Methods of Mayhem sort of thing where I’m going back n forth between a full electronic kit and a full acoustic kit. Part of the challenge was trying to figure out how to play as much of the electronic sounding loop stuff as possible. I’m going back n forth between the electronic and the acoustic drums quite a bit. That’s what makes it cool, what makes it fun and what makes it challenging. It’s definitely something I’m enjoying doing. BZ: You guys are joining the Gigantour tour with Megadeth. Do you prefer the package tours like that or do you prefer the smaller longer shows? WH: In the case of a band like Device the package tour is great, because you get the chance to get in front of a lot of people that might not have checked you out. For that part I think they’re great, but moving forward, when you get to the level where you can start carrying your own production and putting on a real show, sometimes you can’t do that kind of thing on a package tour. We’re looking at it like right now it’s the best fit possible thing for our band to be a part of those festivals or those package tours because of the exposure. The other part of it is that I’m a fan of this type of music, so you get to go out and see some of your favorite bands and friends play. BZ: The album has so many special guests; can we anticipate any surprises during some of your live shows? BZ: What is the plan for Device? Is it do the album, tour and then go back to Disturbed and you go back to Evanescence or are we going to get a few albums before you guys go back to your main bands? WH: The idea for Disturbed, and I’m just speaking on what I know from David is that they’re just on hiatus. Dan Donegan and Mikey (Wengren) have their thing coming out there soon. The intention is to tour behind the Device album like normal bands do and put a full push behind it, however long that takes is however long it takes. At that point Disturbed will probably get back together and do another album. With Evanescence it’s really up to Amy (Lee), the balls in her court. I’m going to obviously finish this out and see it through and hopefully when I’m done she’ll be ready to do something again, but we’ll see. In a perfect world that’d be awesome. BZ: Earlier this year “Hail Mary” came out from Dark New Day, what’s the status of that band. WH: Well the status of that band and this is something that we spoke about years ago is that look, we’re not going to come out and say we’ve broken up. Let’s not say goodbye, let’s just keep it open ended and when we can get together we’ll get together. We’re all still really good friends. I consider those guys my brothers, we grew up together and there is talk about a possibility of a new album, but with everybody’s schedules it may be a little difficult to pull off, but I think we’re going to be all right. Dark New Day is not going anywhere, we’ll continue to put music out and hopefully people will continue to embrace it.